The Professional Recovery Drivers Club (PRDC) are a social organisation with members all over the UK. They contacted Digital NOW as their current website was not fulfilling any of the requirements they needed from it. 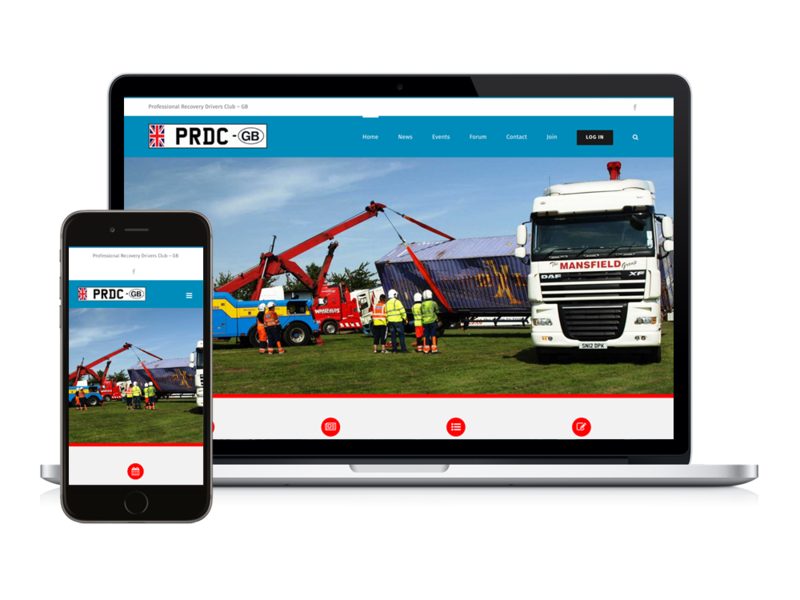 They came in for a coffee and a chat and went over the basic requirements of the site, which was to provide an easy-to-use site where members could keep up with the latest PRDC news, see the upcoming events and communicate with each other and share photos on an online forum. We recommended building a CMS site from the ground up, which would enable them to update the news and events and administer the forum easily. After launching the site we also offered one-on-one training in our Northampton office where we showed them how to fully administer the site.